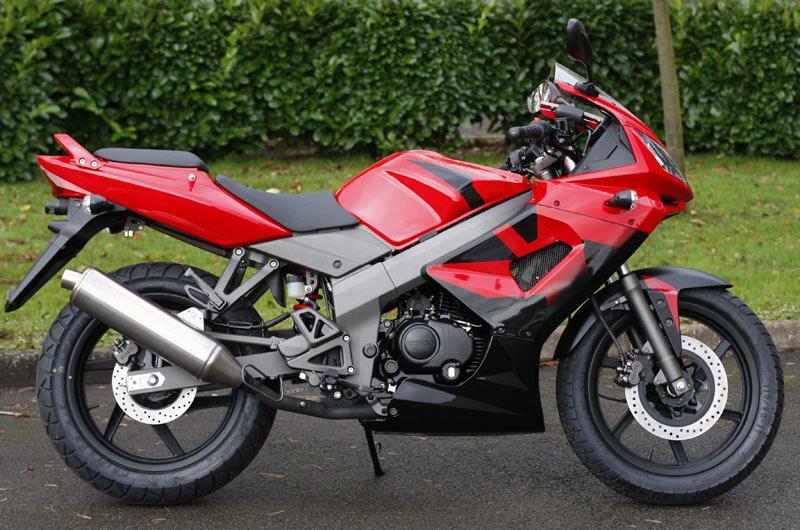 A very decent sporty 125 with great equipment and good handling that’s let down by an inflated price tag. Those that need a cheap runaround will opt for a Chinese-made budget equivalent, while performance obsessed young ‘uns will go for the pricier CBR125R or a YZF-R125. 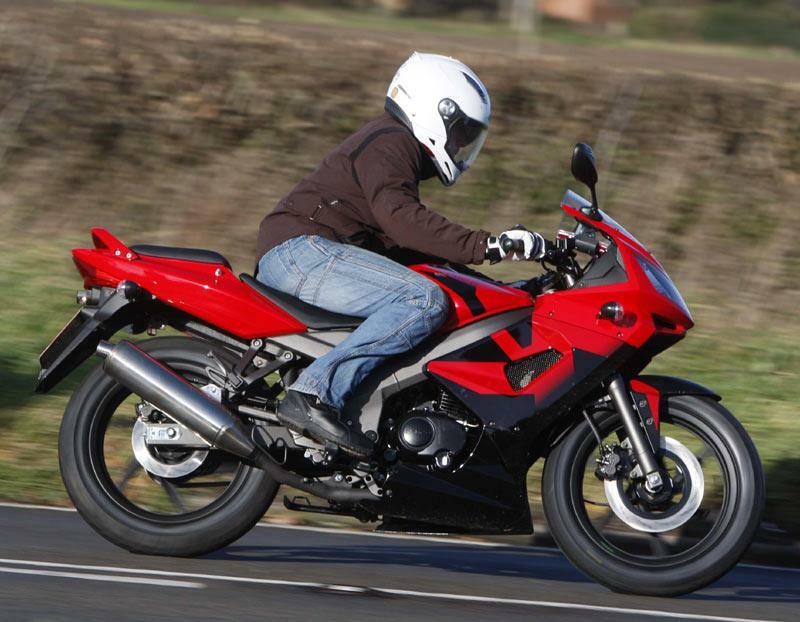 If you find yourself in possession of a KR Sport or can nab a good example for second-hand prices then you’ll be the owner of a perfectly acceptable learner sports bike. The KR Sport may have a circuit-bike appearance, but the riding position is much more upright than you’d expect, making the front faring largely aesthetic as your head and shoulders are far above any wind-bubble it might create. On the plus side you’re unlikely to get up to speeds where wind resistance is a problem and the comfortable up-high ride affords a good view of the road. 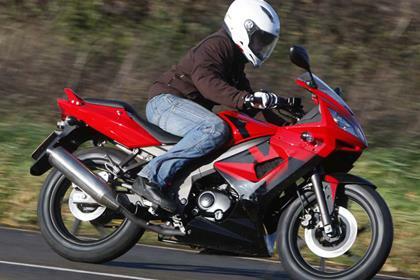 Steering is light and easy, and the low-weight of the bike inspires effortless U-turns. The clip-on bars can feel a little obvious and restricted – like a mini GPZ500 – but it’s no big problem. 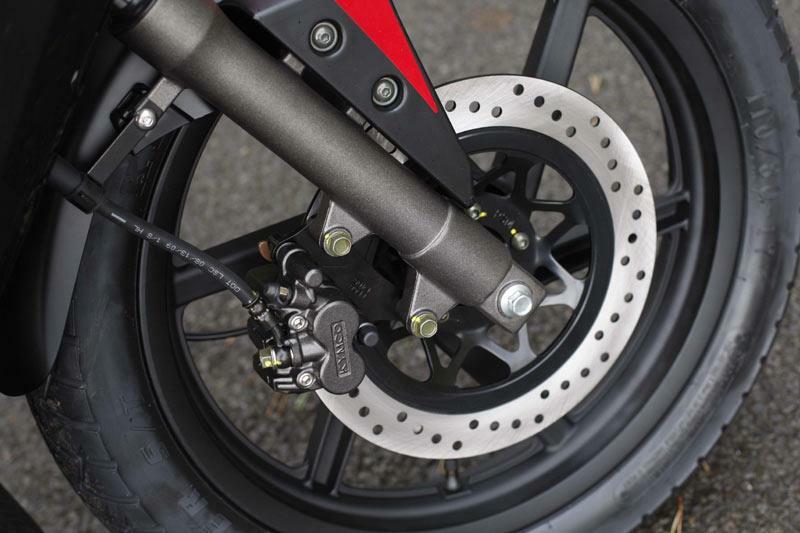 The Kymco-made brakes are adequate, you won’t be stopping on a pin-head and you’ll generally have to grab a handful, but for a 125 they’re pretty standard. The air-cooled four-stroke is perfectly acceptable for a 125 and will have you coasting along at 55mph with no problems, even getting up to an indicated 68mph with a long, flat straight. The power is quite flat, however, with very even power and noise output throughout the rev range. Change gear without nearly redlining the engine and you’ll find yourself in an underpowered dead zone without much in the way of acceleration. Not untypical for a 125, but slightly conflicting with the bike’s sporty appearance. 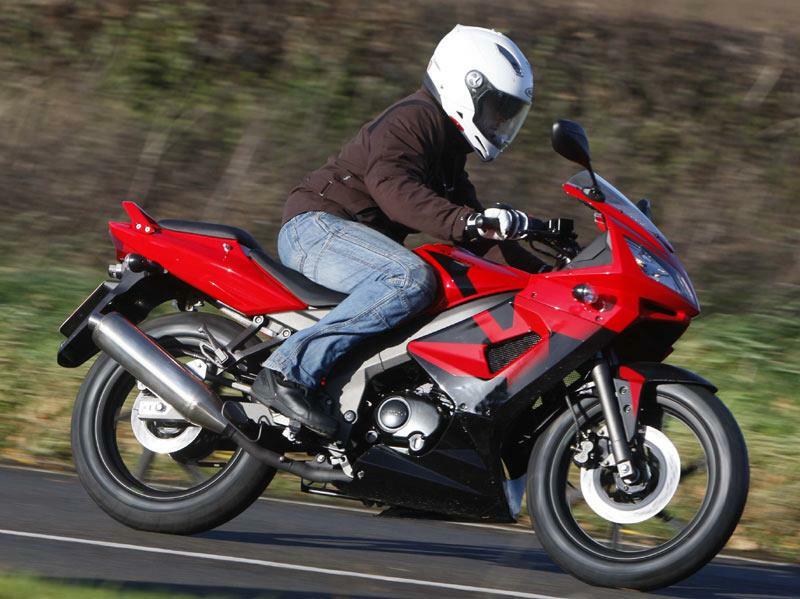 The bike’s easy to red-line as the engine noise doesn’t alter much in pitch throughout the rev range. Banging against the limiter can’t be good for any engine, so keep an eye on it if you don’t want to prematurely age the moving parts. The gear selector can be a tad clunky as well, so may need replacing if used too aggressively over time. The fairing and exhaust are fine for the price, but are keep any eye for age and wear on relatively low-budget components. Kymco offer a 2-yr warranty, which offers real peace of mind. The competition has undercut Kymco considerably. 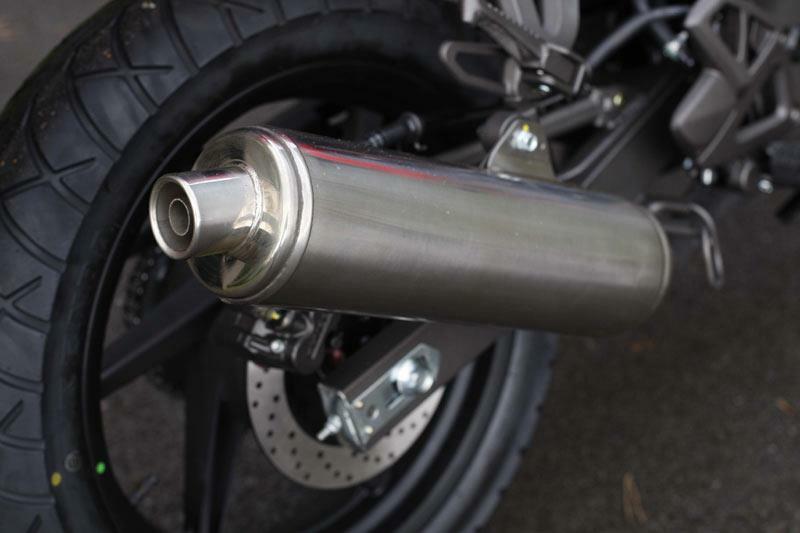 Lexmoto offer the similar XTR S for just £1199.99. In terms of price as well as quality, the Kymco lies in-between the Lexmoto and pricier Japanese options such as the Honda CBR125R (£3120). What’s debateable is whether it’s worth the £2599. It’s not £1400 better than the Lexmoto, but it is £520 worse than the Honda. A little bit more competitiveness in the pricing would see this much more at home in the market. Find a Kymco KR Sport for sale. 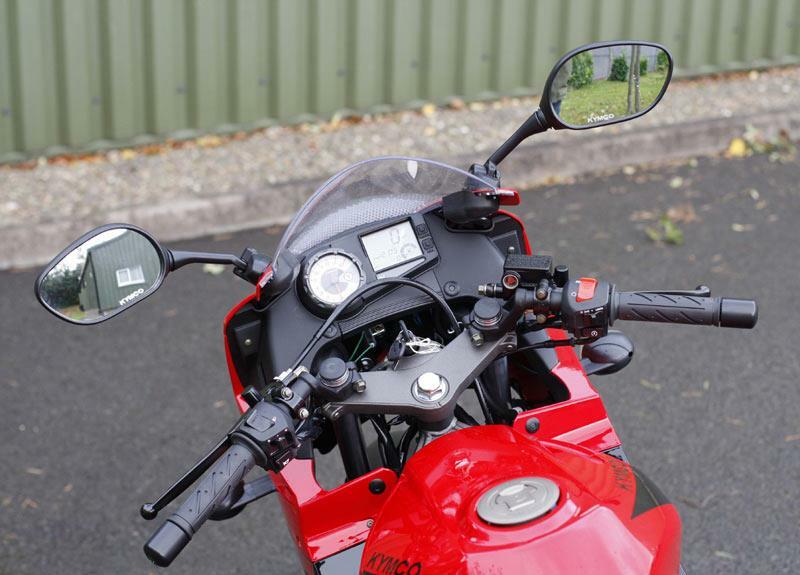 The digital dash and nicely obvious analogue tacho are excellent and really give the bike a touch of class. 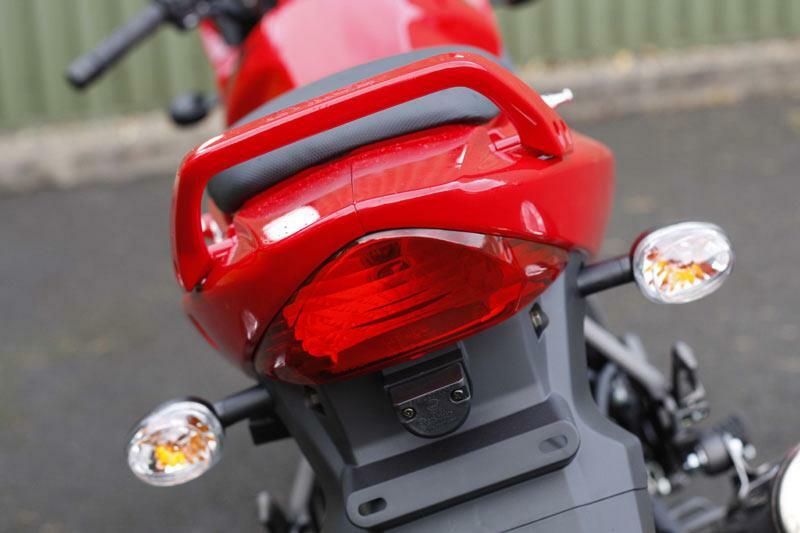 Digital fuel gauge, clock… there are many larger and far more expensive bikes that forgo such touches. Pillion provision is good, with a decent grab rail and good pegs which double up as bungee points. Well angled mirrors and both kick and electric start round off a very pleasing package. Compare and buy parts for the KR Sport in the MCN Shop. 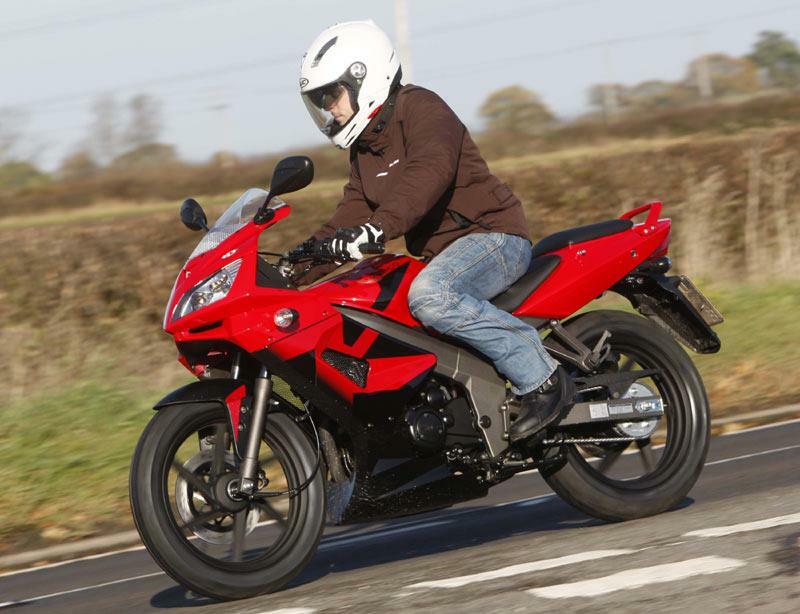 No owners have yet reviewed the KYMCO KR SPORT 125 (2010-on).